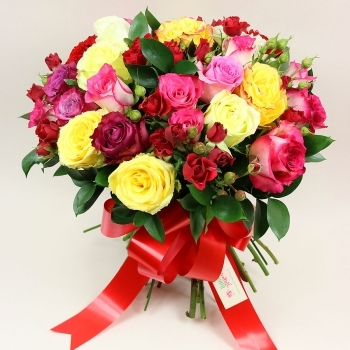 The roses are associated with the greek Goddesses of love and passion Aphrodite and Venus. These elegant and beautiful flowers had been used for years and years back in time to convey messages without a text. They also represent confidentiality. In fact, the latin expression ''sub rosa'' means a hidden message which usually ''covers'' something secretive - a love confession for example. The roses have different meaning,depending on their color. The red roses, which are the most common of all, are the most common symbol of consuming love, passion, admiration and adoration. The light pink roses are a sign of grace, elegance and a peaceful way of showing your true appreciation of someone who is really important to you. To keep modesty when preparing a bouquet to a loved one you can choose the peach rose, which has a very simple and elegant charm. To show your appreciation of a meaningful friendship, the best choice of a rose would be the yellow rose. If you want to share your unconditional love, you can count on the white rose. The dark pink rose are a perfect way of showing your gratitude , respect and appreciation of a relationship that means a lot to you. If you are in a mood of celebrating the beauty of love, you can choose the burgundy rose for the occasion. Each year on June 12, people in the United States observe National Red Rose Day. It honors the flower that is a symbol of love and romance, the red rose.The June birth flower is the rose. Red roses were used in many early cultures as decorations in wedding ceremonies and wedding attire. 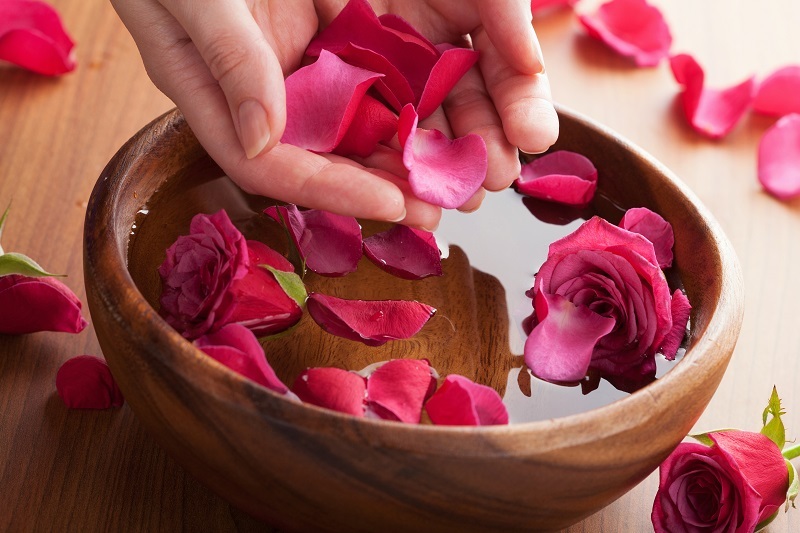 It was through this practice that, over the years, the red rose became known as a symbol of love and romance. The tradition of giving red roses as the strongest message of love is still practiced today. In June, red roses are in bloom in flower gardens across the United States, and their beauty and sweet scent fill the air with happiness.